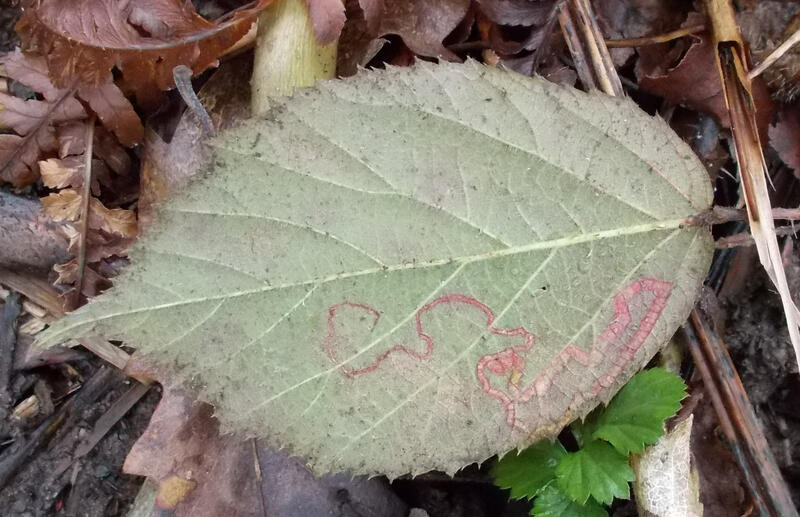 There were lots of fallen leaves in the park today, but this one stood out for marking the progress of a leaf miner. According to Wikipedia the larva responsible could be that of a moth, sawfly, fly, or beetle. Photo of leaf underside here. 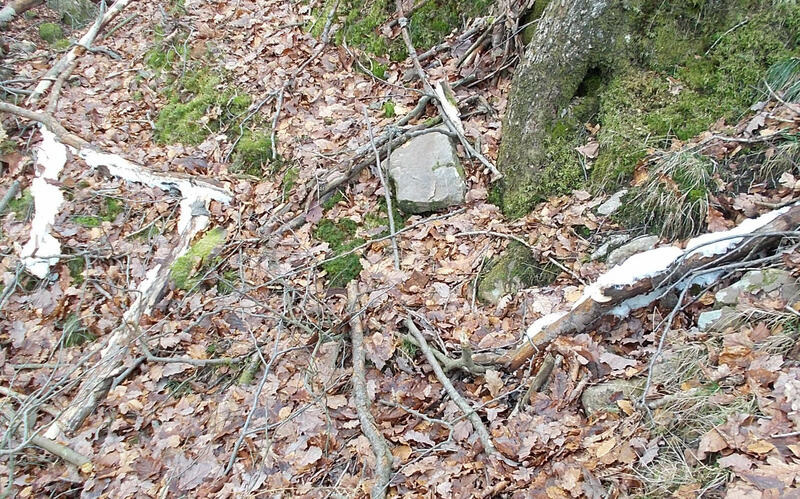 I also found a stone arbour, which has been reconstructed about a mile away from its original position. It has good views to the south towards the Bristol Channel. I was lucky to find some "hair ice" formations in near-freezing conditions in south Wales UK on 4 & 5 Jan 2019. These looked like snow from a distance, but it hadn't snowed, just cold nights down to about -2C. 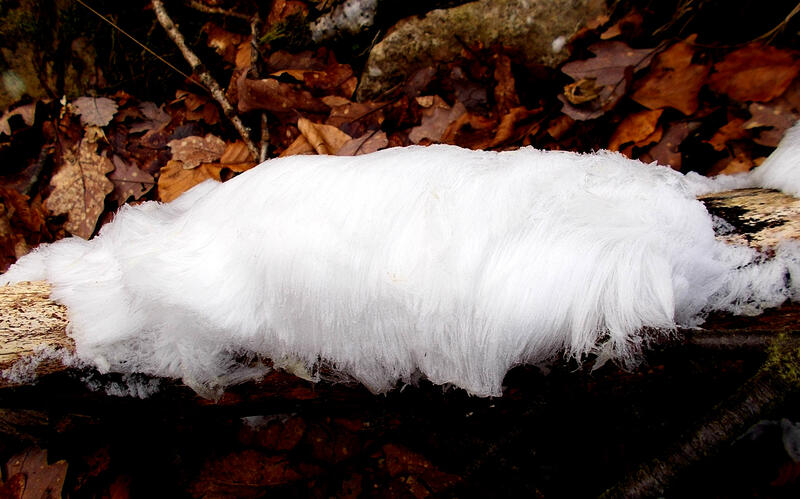 It's also known as "cotton candy" or "candy-floss" ice, and according to reports on the internet require certain fungi to form. Growing on dead beech tree logs in this case. An old brushcutter engine had carbon deposits in the top of the cylinder and piston, and in the exhaust port. It was decided to try to remove this because any dislodged pieces might damage the engine. For this I used some carburettor cleaner which slightly softened the carbon, a perspex scraper and fibreglass tip "pen". Of course it's essential not to damage the cylinder or piston, so using any tools harder than the cylinder/piston metal isn't recommended. The perspex is quite hard, part of an off-cut, and can be cut to shape with a hacksaw. The fibreglass "pen" is usually used to clean circuit boards etc., but worked well as a second stage tool here (the fibres are a health hazard to skin, eyes). After a couple of hours most of the carbon was removed, except for some very hard material at the top of the cylinder, some of which was embedded in pit-damaged areas which will have to stay as it is. Some 1200 grade emery paper was used to lightly polish the piston (after photo was taken). Of course this is also a good time to check the condition of the crankshaft, bearings, and wear on the cylinder, piston and rings, also that the ring(s) can move freely in their groove(s). The engine seemed to run more smoothly after doing this, but it could be my imagination ... at least it ran. I prefer to write "wintery" but that's out of fashion it seems. Trying to discourage all but small birds, this cage within a cage works quite well (outer part is a cylindrical piece of wire mesh). I was impressed to see over 30 new buds springing from the stump of a young hawthorn tree I had severely pruned (planted in wrong place, oops). This was about 2.5 months after cutting. 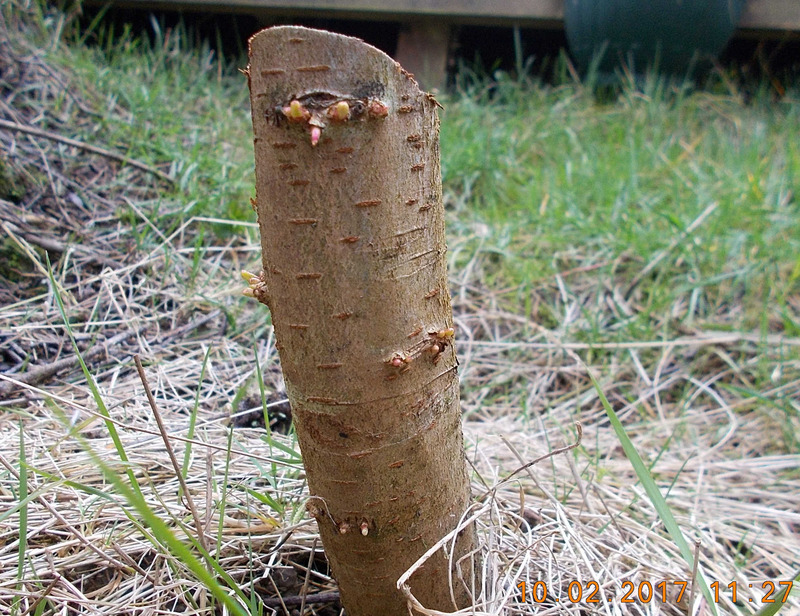 I believe these are termed adventitious buds, which are dormant buds springing into action if the tree is wounded, for example by incompetent gardeners, or more planned activities like coppicing and hedge laying. I'm hoping to keep the tree small in case the roots damage a nearby wall, and I intend to add photos to update the tree's progress in surviving my pruning. ... and not only the "bargains", things with price labels different to that charged at the till. I've noticed in recent years that down-marked price labels in particular don't always match those charged at the till in some grocery stores (parts of large chains, for example SPAR). These are sometimes known as "convenience" stores, to whose benefit I wonder sometimes. In a recent example, a printed discount label for an item showed a shelf price of £2.00, but I was charged the original price of £2.50 (shown on the receipt). When I queried this, saying a similar thing had happened many times before in that store, I was told that it was up to the customer to check that they were charged the correct amount! The story has often been - "there's a problem with the computer", "it's not updating properly" or something similar. Stated discounts for multiple buys are sometimes not applied. I expect this could be a widespread practice, but I haven't noticed problems with larger stores, maybe they can afford better "computers". One day I may spend an hour or two filling out the rather large Trading Standards report form. In a recent purchase at a Londis store I was overcharged at the till for a loaf of bread. When I pointed out the discrepancy the assistant smiled sweetly and said that's what it says on the till, didn't offer a refund, thus breaking trading law - training required? It's obvious to me that in most cases this is not a genuine mistake. For one thing the price at the till is always higher than that marked in my experience. It's organised theft. The shops rely on customers not counting up their bill, and even if they do not wanting to quibble and hold up the queue or create a fuss. Customers could be especially vulnerable at petrol stations for one example. PS: I just heard a whisper that I'm not "one of the best" customers of a store with poor price labelling and charging co-ordination performance. So to be "one of the best" customers one has to behave in what manner I wonder. Probably to not notice or complain about pricing discrepancies would help. Not wishing to be a sub standard customer I'll avoid this store. As of 14 Feb the above article has 845 comments, some criticising the BBC for pointing this out (shareholders I guess). It's not just Tesco of course. I first noticed this as a regular occurence in around 2008/9, perhaps it was no co-incidence there was a serious economic downturn at the time.